OLATHE, Kansas -- John Deere announced today an alliance with Dawn Equipment Company, Inc., a manufacturer specializing in ground engaging tools and active control systems for planters. The alliance allows John Deere to sell and support Dawn hydraulic-controlled down-force systems, row cleaners, and closing wheels for planters. Customers will also be able to purchase Dawn's complete line of M Series closing wheels and other products through the John Deere dealer channel. Current offerings from Dawn will focus on retrofitting the current line of John Deere 1770, 1770NT, and DB Planters. These products will also be compatible with the recently introduced MaxEmerge™ 5 and ExactEmerge™ 1775 and 1775NT Planters. 'This is another example of how we're offering producers additional solutions to help them maximize machinery performance and, ultimately, crop yields. Our industry-leading portfolio of planting solutions will deliver even more options in the future to improve planter performance,' concludes Wetzel. For more information about John Deere products, please visit our website at www.JohnDeere.com or visit with a local John Deere dealer. For information about Dawn Equipment Company, Inc. and their portfolio of products, visit their website at www.DawnEquipment.com. Dawn Equipment Co. is a Sycamore, IL-based manufacturer of advanced ground engaging tools for row crop farming. Founded in 1991, Dawn has consistently produced innovative products for No-Till, Strip Till, and fertilizer application. Recognizing the broader industry trend towards informatics and precision farming, Dawn has created the unique X-Series system of hydraulic products for planters. These patented products allow real-time active-control of planter down-pressure, fertilizer depth, and row cleaner down pressure. These high-quality products give farmers a significant advantage when dealing with in-field variability while pushing towards ever higher yields. 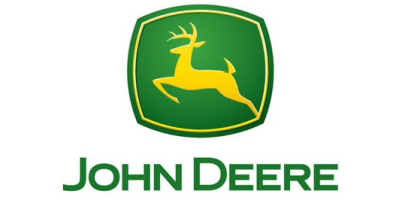 No comments were found for John Deere Announces Allied Agreement with Dawn Equipment Company. Be the first to comment!